World Helitech Show – Amsterdam | News | Eisenberg Racing - Max Your Life. 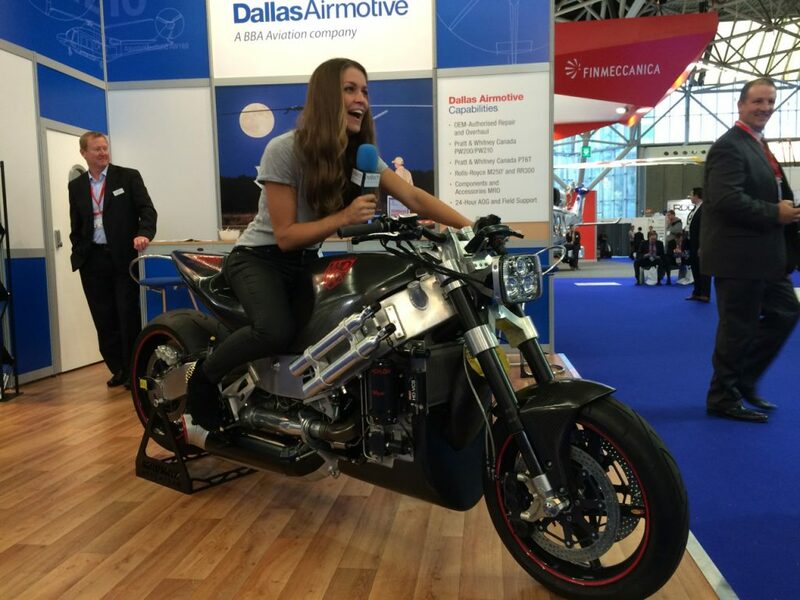 The MADMAX Turbine bike in Streetfighter (no fairing) style, was invited to be centre stage of the H+S Rolls Royce Stand at the World Helitech show in Amsterdam. The MADMAX team will be present to talk about the bike, the science behind it, safety and the unique work we have done to enable it to become the worlds fastest turbine powered and upright streetfighter motorbike ever, reaching a speed of 224.9mph (2014) in a standing measured mile under official UKTA timing and ACU guidelines. I rode is most of the way back from Amsterdam, as the bike is road legal!